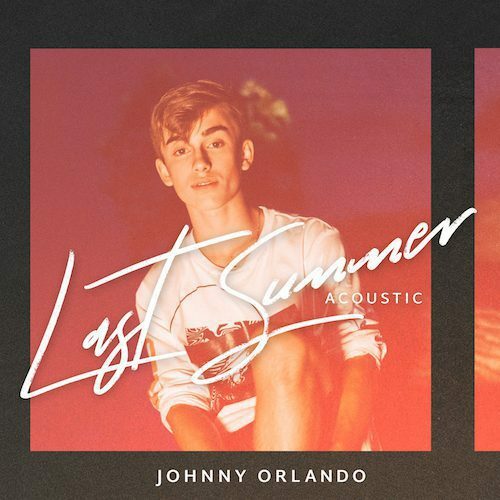 November 9, 2019 (Toronto, ON) – Singer songwriter Johnny Orlando drops an acoustic version of his latest hit track, “Last Summer”. The upbeat pop anthem with 7.5 million global streams (and growing) across all platforms, playfully recalls the magic of summer days past and explores a more mature lyric sound from the 15-year-old artist. The acoustic version of the single showcases Orlando’s voice and brings a laid back, chill summer vibe to the song. Co-written by Orlando, his sister Darian and collaborators Liz Rodrigues and producer Mike Wise (bülow, Dvbbs, RALPH), “Last Summer” has Johnny’s massive fan base (more than 16 million across all social platforms) buzzing. Orlando’s debut EP is expected out in early 2019. He’s come a long way since that first post - touring the world with co-headlining and sold-out North American and European tours, signing a recording deal with Universal Music Canada / Island Records, releasing new music (“What If” and “Last Summer”) and working on his debut EP, set for release in the coming months.